I have spent much time wondering about the origins of the game I love and the process in which basketball evolved into the game we love today. The progenitor of the modern game of basketball Dr. James Naismith. While working in 1891 as a physical education instructor in Springfield, Massachusetts, Dr. Naismith conceived the game in hopes of providing an alternative to the more dangerous game of football. Dr. Naismaith introduced his brainchild to the world by dividing his class of 18 young men into 2 teams of 9 members each. Naismith then taught them the 13 original rules he had adopted to govern the game. In short, the game’s objective was for a team to successfully throw a ball into a peach basket that was nailed to the lower railings of a gym balcony. Whenever a team scored a basket the game would be delayed while a janitor climbed a ladder to retrieve the ball from the fruit basket. After a while, the bottom of the basket was removed in order to shorten the delays. The first goal scored in the first game was achieved by William R. Chase. Chase’s goal was also the only goal of the first every basketball game as the final score was 1-0. Players can throw the ball in all directions with either or both hands. A player is not allowed to run with the ball. Throws must be made from the spot where the player catches the ball. Attempts to shoulder, hold, push, strike or trip an opposing player is a violation. Striking the ball with a fist is a foul. Three consecutive fouls by one team result in a goal for the opponent. A goal is made when the ball is thrown or batted into the fruit basket and remains in the basket. When the ball is thrown out of the field of play, it will be thrown back into the field of play at which time it can be played by the first player that touches it. The umpire shall monitor play and shall note fouls and notify the referee when three consecutive fouls are committed. 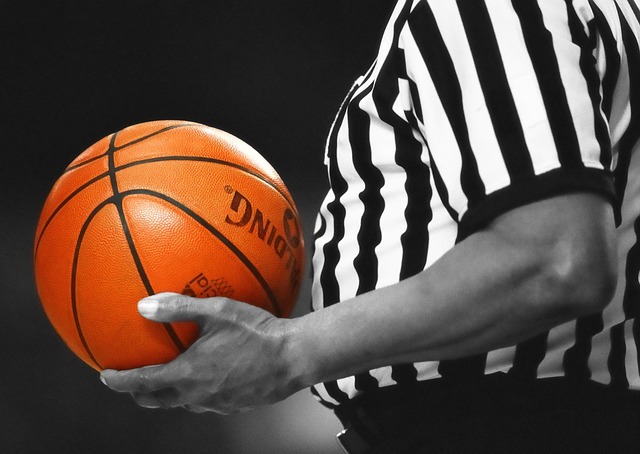 The referee will monitor play and will decide when the ball is in or out of bounds, which team is in possession of the ball, and what time remains in the game. The total time of the game will consist of 2 halves of 15 minutes each. A 5 minute rest period will be in place between halves. The team that makes the most goals during the game Is declared the winner. The popularity of this new game spread fast and local leagues began to spring up in many of the larger east coast cities. Occasionally teams from one local league would travel to play teams from other areas. The first known professional basketball contest took place November 7, 1896. The game was played in Trenton, New Jersey and pitted the Trenton YMCA team against a YMCA team that hailed from Brooklyn, New York. A small admission fee was charged and players were paid $15 to play in the contest. The exception was Trenton’s star player Fred Cooper who was paid a dollar more. The game ended with a 15-1 victory for the Trenton YMCA. Two years later, a six-team league comprised of teams from the Philadelphia and New Jersey areas came together to form the National Basketball League. A short while after the formation of the NBL leagues began to form all over the eastern portion of the United States. In 1901 colleges in the United States began to form basketball teams. The popularity of the growing game of basketball could not be contained within the continent of North America. 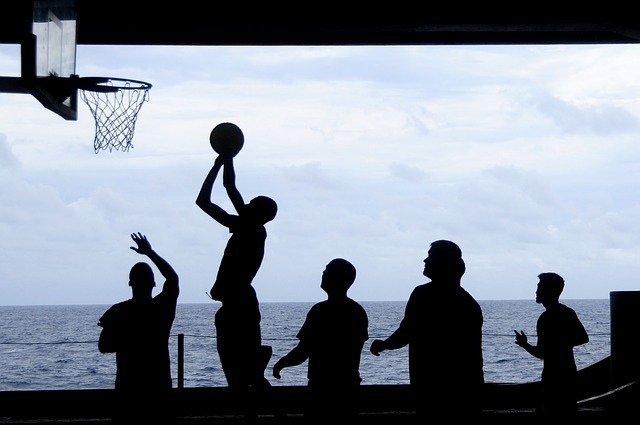 The first international basketball game took place in the year 1909. The game was played in St. Petersberg and featured a local YMCA team against a YMCA team that had traveled from America. The growth of the game continued to explode worldwide and in 1932 it was determined that an international governing body was needed and eight countries would cooperate to found FIBA. In 1936, basketball was an Olympic event for the first time. The first gold medal for the sport was claimed by the United States national team. The Basketball Association of America was formed on June 6, 1946. Three years later the league would change its name to the National Basketball Association. The NBA would quickly become the premier source for basketball in the United States and throughout the world. The American Basketball Association was established in 1967 and was legitimate competition for the NBA. The ABA game emphasized fun and excitement, this was evident in every aspect of the ABA package from the color of the ball, zany promotional events, and the addition of a three-point shot. The ABA was also jumpstarted by the play of Hall of Famer Julius Erving whose leaping ability helped to establish a new style of basketball playing that took place above the basket. The two leagues would eventually merge under the NBA banner and to date, the National Basketball Association provides the highest level of basketball players on the planet.